As an upgrade of QuickClean 5M Plasmid Miniprep Kit, QuickClean II Plasmid Miniprep Kit is a more ideal tool for rapid mini-purification of molecular biology-grade plasmid DNA. Only 1-5 ml of overnight bacterial cultures can yield up to 20 µg of purified plasmid DNA, which is free of RNA, proteins, and other contaminants. QuickClean II Plasmid Miniprep Kit utilizes optimized reagents and high-quality spin columns to minimize the purification time to process low-throughput samples and produce high-purity plasmid DNA for routine lab procedures, including high-quality sequencing, PCR and cloning, in vitro translation, restriction digestion and DNA transformation. In addition, we offer the QuickClean 96-well Plasmid Miniprep Kit for high-throughput plasmid purification. The QuickClean 96-well Plasmid Miniprep Kit contains five 96-well plates to purify plasmid DNA from up to 96 samples each time, thereby greatly reducing the total time for plasmid DNA preparation in your routine lab research. With the flexible procedure, high-quality and -purity plasmid DNA can be used for various downstream applications to fit your needs. Applification Transformation, cloning, restriction enzyme digestion, and sequencing etc. 1. Why is my plasmid DNA yield low? A: (1) Please check if the bacteria was cultured in the right way. (2) If the bacteria cells were resuspented completely. 2. Can the QuickClean II plasmid Miniprep Kit be used for isolating plasmid DNA from mammalian cells? A： No. The Kit provides a fast, simple, and cost-effective plasmid miniprep method from 1–5ml of overnight cultures of E. Coli. 3. What is the recommended culture medium for the Plasmid miniprep kit? 4. How do I know if my plasmid is a high- or low copy number type? A： For example, a series of PUC vector is high-copy-number plasmid. You can know the different type of plasmid from their name. 5. Why do I get genomic DNA contamination in my plasmid prep? A： If getting genomic DNA contamination in the prep. Please invert the tube gently after adding the Lysis Buffer. 6. Can I use QuickClean Miniprep kits for low-copy plasmids and cosmids? A：The kit can purify the plasmid from low-copy plasmids, but not for the cosmids. 7. Are GenScript buffers with identical names in different kits the same? A: Yes, GenScript buffers that have exactly the same name, are chemically identical and can be exchanged between kits. For example, wash solution and elution buffer of the QuickClean II PCR Purification Kit are exactly the same as wash solution and elution buffer of QuickClean II PCR Gel Extraction Kit. 8. Will QuickClean II PCR Purification Kit remove fluorescent dyes from real-time PCR reactions? A: Yes, QuickClean II PCR Purification Kit removes SYBR Green dye efficiently from the real-time PCR reaction. The kit will also remove fluorescent dye labeled dNTP used for PCR DNA labeling, such as Cy3-dUTP, etc. 9. Is it necessary to repeat wash procedure once? A: The DNA eluted from the column is pure enough for most downstream applications. But if the downstream applications are sensitive to salt carryover, it is better to wash the column two times before elution. 10. Can I use TE buffer or water to elute DNA from the column? A: Elution Buffer is 2.5 mM Tris-HCl pH 8.5. TE buffer or water can also be used, but yield will be slightly lower. The pH of the elution solution is critical, buffer with higher pH such as 8.5 or above will be more efficient to elute DNA from the column. 11. What additional consumables does the user need? A: Ethanol is needed to prepare the wash solution for all three kits. Isopropanol is also needed for QuickClean II PCR or Gel Extraction Kit. 12. 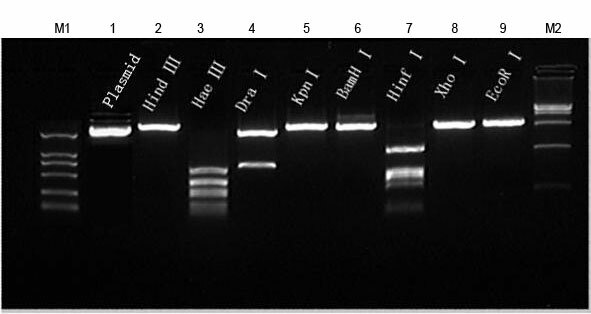 Can I extract and purify DNA from gels using TAE running buffer? A: Yes. QuickClean II PCR or Gel Extraction Kit can be used to extract and purify DNA from gels using either TBE or TAE as the electrophoresis buffer. 13. 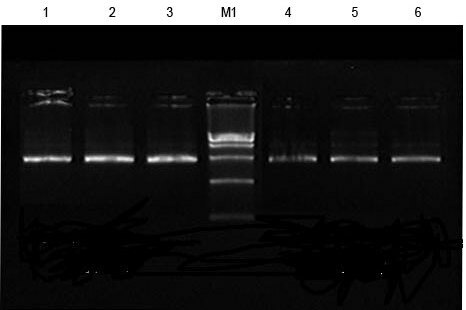 Can I extract and purify DNA from low melting point (LMP) Agarose gels? A: Yes. QuickClean II PCR or Gel Extraction Kit can be used to extract and purify DNA from low melting point (LMP) gels.